Tiny Tina is Your Game Master …. BEWARE! Borderlands 2 was one of my favorite games of 2012. While I missed out on all of the Borderlands 2 DLC that has come out since the games release, Tiny Tina’s Assault on Dragon’s Keep might bring me back in. The ridiculousness of this campaign is just too good to pass up. Apparently, Brick, Lilith and Mordecai are playing a board game with Tina as the Game Master. As you play, it seems that Tina can change anything see wants as the game goes along. New enemies, hilarious story, a bazillion weapon and Tiny Tina, what more could you want. 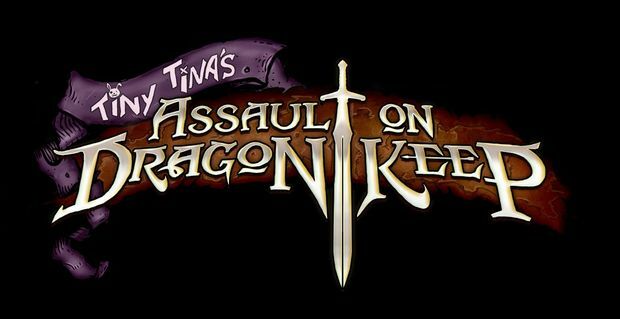 Tiny Tina’s Assault on Dragon’s Keep arrives June 25 for $10 on PS3, Xbox 360 and PC.